My eight weeks of quitting sugar has finally come to an end. Frankly, I hardly missed sugar. I was fine without sugar as long as I kept eating fat and didn’t ever get ferociously hungry. As long as I kept my body fed and happy, I could decide whether to say yes or no to sweets. Finally, I’m in control rather than sugar. My sensitivity to sugar has increased. I eat half the amount of cake as I would before. I never found milk sweet before, but now I can taste its natural gentle sweetness from lactose. I’ve learned that sugar is hidden everywhere : Dijon mustard, ketchup, barbecue sauce, pasta sauces, salty chips, sushi rice, almost everything in a package. People either found it totally weird and extreme that I wasn’t eating sugar or else they thought it was awesome but not something that they could ever do. That said, doing something hard with other people makes it way easier. Knowing that I wasn’t the only one who’s lapsed into a sweet indulgence or being inspired by their sugar-free recipes kept me going after I got off track. If you buy through my link–THANK YOU–I get $6 from her, and it’s the same price for you but you also get my bonus PDF detailing where to get some of the supplies that’s hard to find outside of Australia. Once you make your purchase through my link, please contact me with your order number, I’ll send you my bonus PDF. So it’s the last week of quitting sugar, but I’ve already started to experiment with adding sugar back to my diet about a week and a half ago. Usually when I’ve been integrating sugar back into my diet, I try not eat too much of the sugary stuff–just one bite or as little as I can. Over the weekend, however, I was invited to a traditionally German coffee-and-cake afternoon party where there’s basically tons of cakes, coffee, and tea. I decided that I was really going to eat as much cake as I wanted, like I used to before I quit sugar. Back before I quit sugar, I’d definitely eat a slice from each cake and then go back for seconds or thirds from my favorite/s. I thought that perhaps I’d revert back to my sugar-loving ways. I was pleasantly surprised by what my body told me I wanted once I gave myself full permission to eat as much sugar as I wanted : I had a slice from two of the cakes and four or five waffle hearts, but I never even made it to the third cake. I was repulsed by the taste the way Sarah Wilson is. I really enjoyed the cakes as indulgences. I just didn’t need as much as before to be satisfied. Unfortunately, my body was not used to all that sugar, and after that party I could not fall asleep until 3 or 4AM due to the sugar high. I had the same reaction with the fructose-free chocolates I ordered. Previously, I finished bars of chocolate in two-three days. It’s been about ten days since my chocolates arrived, and I still have yet to finish a bar, even though I allow myself to have as much as I want. I just don’t crave them like I used to. In Sarah Wilson’s words, “The enemy just leaves the battlefield.” It’s just no longer an issue. Even though other people report weight loss from quitting sugar, I don’t have a scale and don’t know if I gained or lost weight. I can testify, however, that my tummy was flatter when I quit sugar 100%, because I wasn’t retaining water. I did have a clearer head throughout the entire day, and I rarely got slumps when I needed something to pick me up. Going forward, I’ll be back to eating fruit, chocolate (fructose-free for a while until I finish the many, many chocolate bars I ordered), and sweets. not drinking fruit juice or fizzy sweet drinks at bars–just ordering water! I don’t want to become an anti-sugar bore, but quitting sugar has really improved my mental and physical health. If you’re interested, you can start the journey by finding out more from my first blog post about quitting sugar. So I’ve been adding sugar back to my diet slowly but gleefully after a few weeks of not having any sugar at all. The plan is that I’m supposed to add some low-sugar fruits first, but I’ve just been eating sugar as they pop up in my life. For example, today I went out for Thai food with my coworkers. And now I can really taste the sugar in the yellow curry sauce. Before I would have been surprised if you told me that Thai curry sauces were sweetened, but after a few weeks of very limited sugar I can actually taste its sweetness. Because it was part of our set menu, I had a blackberry-juice-based sparkler at dinner last week. And tomorrow I will eat a slice of cake to celebrate a birthday. I don’t know if its just coincidence, but a few hours after I drank the sugary juice drink last week I had a slight buzzy headache. And today after I ate the sugar-laden Thai curry, I got the same kind of headache in the afternoon. I guess I’ll find out tomorrow after the birthday cake if sugar really gives me headaches. Meanwhile, my huge box of chocolate bars from Frusano arrived! Frusano is the only company offering chocolates sweetened with dextrose. The chocolates taste silky smooth, almost normal. Melt 125g of solidified coconut oil in a saucepan over medium heat. Dissolve 3/4 cup dextrose in some water on the stove and then add the coconut oil. Sift the 6 tablespoons cocoa, 4 tablespoons full cream milk powder and a pinch of salt together, and then add to the liquid. Spoon into moulds, a tin or just spread it out on a piece of foil and refrigerate till set. Thank you if you’re reading this. Thank you if you’ve been on the journey with me. It’s you who keep me honest…just two more weeks! And then back to chocolates and cakes! So I’m now on week 5 of quitting sugar. 1. Instead of a berry and banana smoothie every morning, I tried a pure green smoothie with cucumber, some lemon juice, ginger bits, and lots of green leafy purslane. 2 & 3. Instead of a slice of dark chocolate cake, I’ve been smearing almond butter on rice cakes (a recipe I got from Sarah Wilson’s quitting sugar manual) or eating it mixed into plain, full fat yogurt. 4 & 5. Instead of sugar with coffee and foamed milk, I’ve been drinking chai and coffee without sugar and with a lot more milk than usual. The lactose in the milk is a little bit sweet. 6. Instead of sugary apple juice, I’ve been drinking coconut water. 7 & 8. Instead of salty chips that are laden with sugar, I will be eating salty, crunchy, sugar-free pickles or popcorn with butter and nutritional yeast. 9. Instead of sugary salsa, I’ll be trying this recipe for herbed crème fraîche as a dip for raw veggies. The recipe is just full-fat crème fraîche with dried basil or parsley or chives, salt, and pepper to taste. 10. For breakfast, I want to try this bacon-turnip casserole with vegetarian bacon. Sauté sausage, breaking it up into small pieces with a spoon or spatula, until almost cooked through. Mix the sausage with the rest of the ingredients. Spoon into a 8×8 baking pan. When ready to cook, heat oven to 400 degrees. Bake for 45 minutes then cover the pan and bake for 25 minutes more. Let cool 15-20 minutes so the casserole sets before cutting into it. Here is the original recipe at Mark’s Daily Apple. 11. For dinner, I’ll be making this vegan adzuki bean and pumpkin casserole. Heat the oil in a large saucepan, add the onion and sauté for a few minutes. Add the garlic and the ginger and sauté for another minute. Add the pumpkin, the beans, mushrooms, kombu and water and season with pepper and soy sauce. Leave to simmer for 20-30 minutes or until the beans are tender. Take out the kombu and slice it into small pieces, then return the kombu into the saucepan. Sprinkle with toasted sesame seeds and serve with brown rice. If you have any good sugar-free recipes, please let me know! About two years ago I tried to quit sugar. I lasted about two days before I succumbed. Not that I haven’t quit successfully before : 2010 was a year of quitting. I quit coffee for a month. I quit dairy products for a month. And I have not eaten meat consciously (unless I was an unexpected guest of strangers who are doing their best to host me on my travels) since more than 15 years. But sugar! Even the idea of quitting sugar makes something inside me scream in frustration. One, I love autonomy and I hate the idea of limitations. Two, sugar is my beloved. I use it to motivate myself to finish projects. I celebrate milestones with cake. Pastries was how I got to know French culture when I lived there for almost three years, how I got inculcated in their culture of pleasure of the senses. I love ice cream, cookies, chocolate, sweet coffee. induces salt and water retention giving me a bloated mini-belly some times. If you want a huge list of 146 reasons why sugar is the devil, visit the website of Nancy Appleton, author of Lick the Sugar Habit , by clicking here. 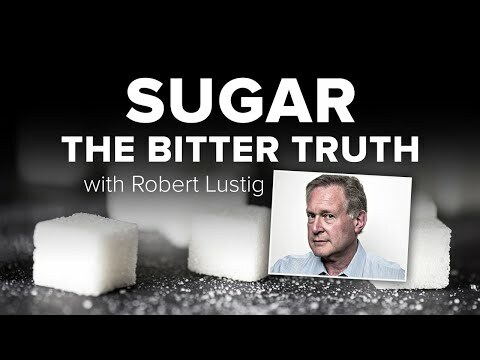 If you want to know the science of why sugar–all sugar, even fruit sugar and “brown” sugar and honey–is bad for you, watch the very long and informative lecture below. So I sat about two years with the idea that sugar will run my life. It’s really not a problem to start the day with sweet coffee every single day. It’s not a big deal to indulge in a sweet treat craving of the chocolate variety every single day. Sometimes for a few nights straight I drink hot chocolate (but dark hot chocolate!) right before bed for the sweetness it gave my dreams. Or so I told myself. And I needed to motivate myself somehow, right? I know that I’m addicted to sugar because the thought of quitting it gives rise to irrational irritation and incredible resistance. Until one of the women who inspires me with her lifestyle Sarah Wilson wrote the book I Quit Sugar, which made me to commit to quitting sugar again for the next 8 weeks (edited to add: since I wrote this post, Sarah has updated her book with a different cover). In fact, she’s leading a 8-week program on her blog to guide people through her book I Quit Sugar. So if you’re looking to detox your body after the excesses of the holidays or just from fast living in general, come join us! You don’t have to buy the book; you can find lots of information on Sarah’s blog. But the idea of quitting sugar was so hard for me to face that it’s easy to have a week-by-week schedule. As they say in other addiction programs, one day at a time. The 8 week schedule for quitting sugar is really gentle and moderate, unlike when I tried to go cold turkey back in 2010. Yes, you can quit sugar without the book. You don’t need it to just. stop. eating. sugar. More power to you if you can just decide to do it and get it done. But I recommend buying the book if you want Sarah Wilson’s shopping list of great supportive sugar replacements, her recipes for breakfast replacements, her tricks for making quitting sugar a fun-ish experience, and the general feeling that you are supporting your choice to quit sugar with the kindest and most researched advice possible. You can buy the $15 book from her site or from my link here (edited to add: since I wrote this post, Sarah has increased the price of her ebook). If you buy through my link, I get a $6 commission but the price is the same to you no matter where you buy it form. That said, I’ll be working on a German-based and American-based version of her shopping list, which is full of products mainly from Australia. Once I finish my research, I’ll send it out to those of you in Germany or the US so that it’ll be easier to source some of the teas and supplements Sarah recommends. So for week 1 of quitting sugar, the idea is to just cut back. I’ve started to drink coffee without sugar and stopped drinking a fruit smoothie every morning for breakfast. Nonetheless, during yesterday’s and today’s afternoon slump I’ve already had 5 or 6 chocolate chip cookies and a dark hot chocolate. Oh! And a chocolate mousse after dinner last night…but the point is to endure the 8 weeks, so I’m cutting myself some slack and am happy that I am not adding honey to my coffees for now. Edited to say : If you buy the handbook by clicking on this link, THANK YOU! I get a commission, but the price is the same no matter where you buy it. Once you make your purchase through my link, please contact me with your order receipt, and I’ll send you my bonus PDF detailing where to get some of the supplies in Germany and in the US that Sarah Wilson recommends on her Australian-based shopping list. Have you tried to quit sugar or any other addictive substances? Please share your tricks and tips with me in the comments section below so that I can quit sugar as joyfully as possible in the next 8 weeks!